Customers can pre book their LG G5 at their nearest mobile store or at LG brand shops or online exclusively at Flipkart between 21st to 30th May. All the pre booking customers will get the companion device LG Cam Plus free along with the LG G5. 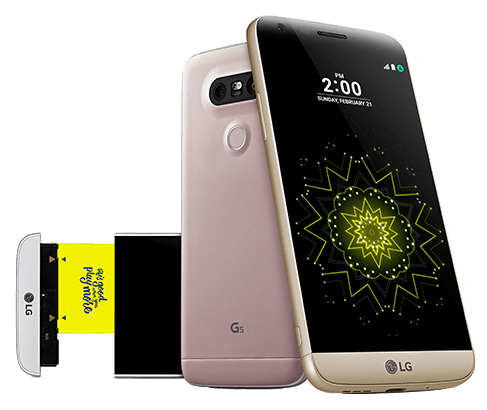 New Delhi, May 20, 2016: LG Electronics India Limited (LG) announced today that the pre bookings for its highly anticipated, world's first modular smartphone LG G5, will open from May 21, 2016. The flagship smartphone will be available for pre-booking at mobile stores, at LG brand shops and online exclusively at Flipkart. Customers can pre-book their LG G5 from May 21, 2016 to May 30, 2016. LG also announced that all the customers who pre-book the LG G5 will get the companion device, LG Cam Plus absolutely free along with the smartphone. Mr. Amit Gujral, Marketing Head – Mobiles, LG India said, "The wait for the most anticipated smartphone, in fact the first ever modular phone of 2016 to arrive in India is now over. Customers can now pre-book the LG G5 and we hope more and more people will take advantage of this opportunity. The G5 is our most innovative smartphone till date and consumers would surely be awestruck on the most innovative modular concept of LG G5. We are very excited to bring LG G5 to India." Anil Goteti, VP - Business, Flipkart said, "We are happy to partner with LG to host the pre-bookings of LG G5. Backed by new-age technology and unique add-ons, this new device will offer customers an enhanced user experience. We are confident that the G5 will be well received by the customers." Sunil Lalvani, Vice President and President of Qualcomm India, said, "Qualcomm Technologies is very pleased to work with LG on their latest flagship device, the LG G5, featuring the Snapdragon 820 processor with Qualcomm® TruSignal™ Multi-Antenna Boost technology, enabling a superior and reliable connected experience. LG and Qualcomm Technologies have worked together for many years with the shared goal of enabling new and exciting user experiences for consumers. We look forward to seeing the LG G5 launch in India."